From these words it is evident that the whole purpose of the Patriarch’s ukaz was to prevent the fragmentation of the Russian Church, to bless the creation of “horizontal” links between the bishops when the “vertical” links to the Higher Church Administration had been for one reason or another destroyed. 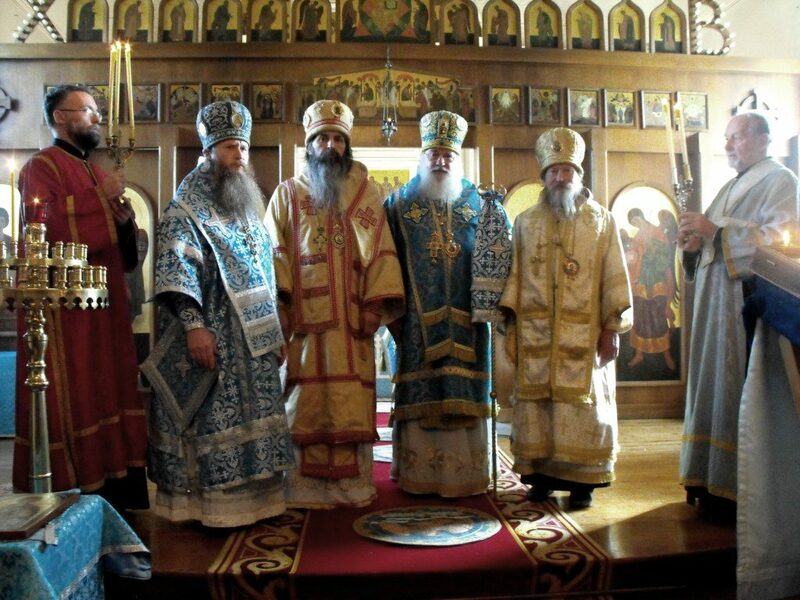 ROCOR was one of the autonomous groups of bishops created on the basis of this ukaz. 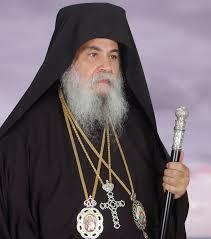 It was always, in accordance with the Patriarch’s intention, a group of bishops, not a single bishop. There is one exception to this rule: the creation, with the blessing of the Most Holy Patriarch, the Holy Synod and the Higher Church Administration, of the Latvian Autonomous Church under Archbishop John (Pommer) of Riga, in 1921. This act was elicited both by the very exceptional circumstances of Church life in Latvia, which was bordering on the Soviet Union and subject to all kinds of provocations and infiltrations from the Union, and by the high degree of trust which the Russian Church had for Archbishop John. The further life and activities of Archbishop John showed that he was completely worthy of this trust: by his martyric end he witnessed to his faithfulness to the behests of the confessor Patriarch. When Bishop Stefan was made a bishop, he entered into one of the autonomous groups of bishops created on the basis of the Patriarch’s ukaz – the Russian True Orthodox Church (RTOC). RTOC owes its apostolic succession to ROCOR, and in that sense may be considered a successor of ROCOR. However, its founding Fathers never lived outside Russia, but come from inside Russia, so it is not strictly accurate to call them – either as a group of bishops, or as individual bishops, such as Bishop Stefan – ROCOR, insofar as their unity is defined, from an earthly, geographical point of view, by their living inside the boundaries of the Russian Federation. Nevertheless, in view of the fact that Bishop Stefan lived in the USA, and had a special knowledge of conditions in the USA and of ROCOR life in the USA, he was given a blessing to act to a certain degree independently of the bishops inside Russia. However, this was never envisaged as the creation of a separate autonomous group of bishops. Nor could his “autonomy” ever correspond to the global scope of ROCOR for the obvious reason that his heath did not allow him to travel beyond the eastern seaboard of the USA. Therefore even if we allow that the Trenton diocese is “autonomous” in a strictly limited way, it is highly misleading to call it ROCOR or the sole canonical successor of ROCOR. Even if Bishop Stefan were the only canonical Russian bishop living outside Russia, he can not be called “ROCOR” neither de jure (since he is not a group of bishops) nor de facto (since he is incapable of ministering to the whole world outside Russia). It should be noted that Bishop Stefan never refers to ukaz no. 362 in his polemic with RTOC. Nor does he ever explain how he is going to govern himself autonomously on conciliar principles of communion with RTOC while having no communion with RTOC. In his announcements he states that his autonomous rule of his diocese is something granted to him forever, without conditions and without possibility of rescindment, even by those who bestowed it on him. Apparently, Bishop Stefan is indeed confusing “autonomy” with “autocephaly”, and that he sees his own status as closer to autocephaly than autonomy. Thus towards the end of his “Address” he writes: “The fact that the hierarchs of RTOC helped re-establish our episcopate has not deprived ROCOR of her independence… just as the ordination of Arch. Akakije did not suspend (sic) the independence of the Serbian Church.” Bishop Stefan sees some kind of analogy between his quasi-autonomous status and the status of the Serbian Church as re-established by RTOC in 2011. However, the two cases are completely different. RTOC and ROCOR are autonomous groups of bishops created by the Patriarch’s ukaz, and strictly limited by its authority. The Serbian Church, on the other hand, is a fully autocephalous Church which had completely lost its episcopate before the consecration of Bishop Akakije. The “independence” of Bishop Stefan’s diocese is much more limited than the independence of the Serbian Church. The former is subject to RTOC and to the decisions of the future Council of the Russian Orthodox Church when True Orthodoxy is restored to Russia. The Serbian Church is subject to no higher Serbian Council of Bishops. However, even fully autocephalous Churches are never completely independent of the rest of the episcopate of the Orthodox Church. We see this in the cases of the Autocephalous Church of Cyprus, which was always critical dependent on the Patriarchate of Constantinople, and of the Autocephalous Church of Sinai, which was always critically dependent on the Patriarchate of Jerusalem. The fact is, as St. Cyprian of Carthage pointed out in the third century, that the episcopate of the Orthodox Church iscollegial in essence. There is no such thing as a bishop who is totally independent of all other bishops, and who cannot be reprimanded, admonished or defrocked by other bishops. Even autocephalous Churches and Patriarchates can be banned by other autocephalous Churches or Patriarchates, as has happened many times in the history of the Church. The essence of the heresy of papism lies in its attempt to place the Bishop of Rome above and beyond the judgment of his fellow bishops. If Bishop Stefan does not want to be accused of a similar violation of sobornost’, he must indicate to whose judgment he will submit his own actions. Thus let us suppose that a priest or layman in Bishop Stefan’s diocese has a canonical complaint against him. Is Bishop Stefan to be the judge in his own case? 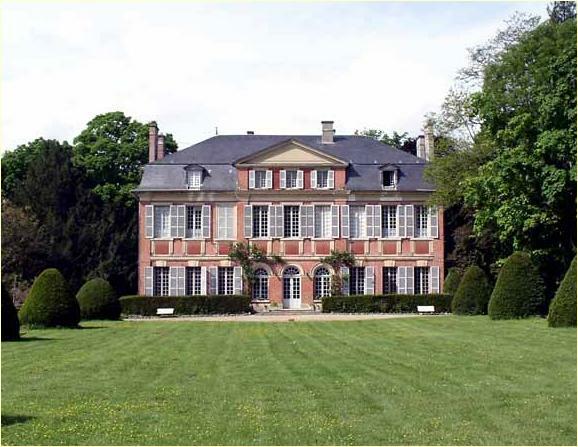 That cannot be so: a complaint against a bishop can be heard only by other bishops with whom he is in communion, which in this case can only mean the bishops of RTOC. Bishop Stefan departed from subjection to the Council of Russian Orthodox bishops that he had previously recognized and thereby broke every link with the Conciliar Orthodox Russian Church, which means: with the Church of Christ as a whole. Let us now turn to the specific reasons cited by Bishop Stefan for his schism (for that is what it is) from RTOC. These amount to two accusations. The first is that Archbishop Tikhon did not publish the minutes of his synodal meetings, and the second is that he made “offensive attacks” on the memory of Metropolitan Vitaly. The first accusation is easily dealt with. Where in the holy canons does it say that bishops have to publish minutes of their meetings? And how detailed must these minutes be? Must every single word be recorded, or is it permitted to record only the main decisions or points of view? Unless precise answers to these questions can be provided, and unless it can be proved that Archbishop Tikhon has no good reasons for not publishing them, this accusation is clearly not serious and can be ignored. The second accusation was made in connection with the RTOC Synod’s document, “Reply to the Omsk Priests”. However, it has since emerged that Bishop Stefan had not read the “Reply” before making his accusation about its contents. In other words, the accusation was made on the basis of hearsay – probably on the basis of the denunciations of the Omsk priests, who have now left the Church. In view of this, there is no obligation on Archbishop Tikhon to reply – even if the accusations were true, which they are not. It should be noted that in an earlier document, dated March 18/31, Bishop Stefan accused the RTOC bishops also of slandering Archbishop Lazarus – although there is not a single mention of Archbishop Lazarus in the whole of the “Reply”. In any case, even if it were true, this accusation presupposes a disturbingly unorthodox attitude toward the conduct of Councils of Bishops. Where, if not in Councils of Bishops, can the conduct of other bishops be discussed? One has only to open the Acts of the Seven Ecumenical Councils to see that in these, the most revered Councils in the history of the Orthodox Church, mutual accusations by bishops were very, very common. This may be a cause for regret in some cases, but it shows that freedom of speech on matters of the faith was a principle revered by the Holy Fathers, who never defrocked a bishop simply for free speaking, but only if he confessed heterodox ideas. Even if Metropolitan Vitaly were a canonized saint, this would not mean that he never made serious mistakes, still less that no criticism of his actions should be allowed. In violating his hierarchical oath, which is in essence oath-breaking. Bishop Stefan has received the Omsk clergy and those who have joined them, who have rebelled against RTOC, under his own omophorion. This is in itself was a serious transgression of the holy canons, whether or not the priests had a canonical case against the Synod. For as long as Archbishop Tikhon remains the canonical bishop of Omsk, and has not been canonically deposed in a canonical trial, no other bishop has the right to take his priests under his omophorion. However, this is simply not true: in 1994, ROCOR in council – that is, соборно – accepted the ecclesiology of Metropolitan Cyprian, according to which the MP is an ailing church having the grace of sacraments. That is why the reversal of the decision of that Council, and the return to the ecclesiology of St. Philaret, as expressed in the anathema of 1983 against ecumenism, was so important. And, glory to God, this has been done – first by Metropolitan Vitaly and his ROCOR (V) Synod in 2001, and then again by the RTOC Sobor in 2008 and the RTOC Synod in 2016. 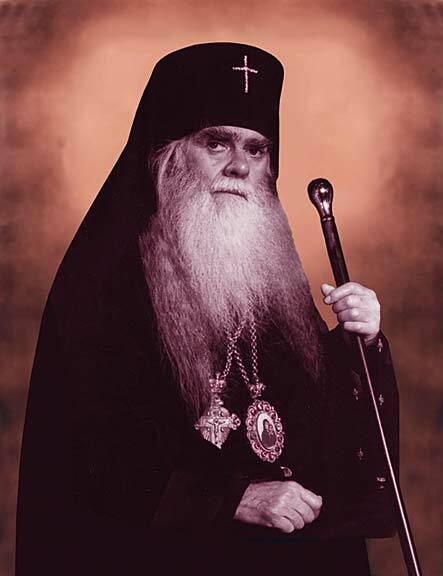 At this point we must recall the unfortunate fact that in 2001, when Metropolitan Vitaly condemned Cyprianism, Bishop Stefan was still in the false synod of Lavr (which he left only in 2006 – “On September 12, 2005 at the Alexander Nevsky cathedral in Howell, at the Small Entrance Metropolitan Lavr (Shkurla) bestowed a cross with jewels on Protopriest Stefan Sabelnik”! ), and therefore still in communion with the Cyprianites. This of course makes his condemnation of our Synod, which supported Metropolitan Vitaly, and supported his condemnation of Cyprianism, and always tried to remain in communion with him, hypocritical. Again, Bishop Stefan writes: “Victor Melehov was received by hierarchs of RTOC because Metropolitan Vitaly received him ‘in his existing rank’. This should not disturb anybody, because, in essence, Victor’s existing rank in 2001 was that of a layman.’” But everybody knows that Fr. Victor was received “in his existing rank”, which, as everybody also knows, means that he was received as a priest. Is he trying to deceive his listeners? Or is he simply showing contempt for Metropolitan Vitaly’s decision to reverse his earlier decision and receive Fr. Victor as a priest? If so, he should be honest and declare that he thinks that Metropolitan Vitaly made a mistake and should not have received Fr. Victor as a priest. What Bishop Stefan cannot do is try and rewrite history and say that Fr. Victor is not now a priest! In fact, it turns out that Bishop Stefan’s main accusation against the RTOC Synod – that they were not loyal to the memory of Metropolitan Vitaly – comes back, and with much more justice, on his own head! In reply to this, let us first ask whether Cyprianism is indeed only a “mistake”, and not a heresy. Bishop Stefan continues: “To trumpet over the course of many years that Cyprianism is a most terrible heresy does not yield significant fruit, but on the contrary does harm and gives others cause to accuse us of fanaticism.” Before we consider what fruit condemning the heresy brings, let us first consider what fruit the heresy itself has brought. It has brought the downfall of the Cyprianite Synod, together with the Agathangelite Synod that received its orders from Agathangel in union with the Cyprianite bishops. Secondly, it helped create a most damaging schism in ROCOR, which led to the fall of most of that Church into union with the graceless MP in 2007. Now it may be argued that there were other factors that contributed to the fall of ROCOR. Probably, yes; but it would be an extremely naïve person who denied that ROCOR’s official proclamation, through its acceptance of Cyprianism in 1994 and again in 2000, that the MP had the grace of sacraments, did not remove the main obstacle to union with her in the minds of very many people. How long should the condemnation of a heresy be “trumpeted”? For as long and as loud and as often as is necessary for everyone who is in danger of accepting the heresy to hear it! For as the holy Apostle Paul says, “If the trumpet makes an uncertain sound, who will prepare for battle?” (I Corinthians 14.8). The Holy Church has never been shy of “trumpeting” her condemnation of heresies; the history of the Holy Fathers of the Seven Ecumenical Councils is sufficient witness to that. For she loves her sheep, and does not wish any of them to perish. As if to justify his refusal to call Cyprianism a “heresy”, as opposed to a “mistake”, Bishop Stefan writes: “In the same way the Church abroad did not call the new calendar a HERESY, but a big mistake, and in spite of that Archbishop Tikhon and the RTOC Synod in their “Reply,” never subjected the new calendar to anathema”. Why should they do any such thing? It was quite unnecessary, because the new calendar had alreadybeen subjected to anathema by a Pan-Orthodox Council comprising the Patriarchs of Constantinople, Alexandria and Jerusalem in 1583. This decision was confirmed several times in later years, and by the Local Council of the Russian Church in Moscow in its 67th session in January, 1918. That which has been anathematized cannot be considered to be simply a “mistake”, but something more serious. This is true, but in no way changes the essence of the matter. For let us consider two important facts. When St. Philaret and St. John Maximovich served in Western Europe in these newcalendarist parishes, did they serve on the old or the new calendar? Undoubtedly on the old! And secondly, these Dutch newcalendarists, by coming under the omophorion of an Old Calendar bishop, thereby escaped the schism of the new calendar. For as St. John Chrysostom says, “exactness in the keeping of times is not as important as the crime of division and schism”. (St. John Chrysostom, in Liudmila Perepelkina, “Iulianskij kalendar’ – 1000-letnaia ikona vremeni na Rusi” (The Julian Calendar – a thousand-year icon of time in Russia), Pravoslavnij Put’ (The Orthodox Way), 1988, p. 122.) Of course, when the Dutchmen returned to the new calendarist church after the death of St. John Maximovich, they returned to the state of schism they had been in before joining ROCOR, and which they had briefly escaped while being in ROCOR. Finally, we come to Bishop Stefan’s most serious accusation (serious for him, that is): “THE DETERMINATION OF THE HOLY SOBOR OF THE RUSSIAN TRUE ORTHODOX CHURCH, 13/26 October 2008 states: “The Moscow Patriarchate… is not the True Church of Christ and its sacraments cannot be valid unto salvation”. This, so far is acceptable. But what is NOT acceptable is the last line of this DETERMINATION: “Outside the Church it is impossible for the soul, stricken by passions to receive true spiritual healing and salvation.” I repeatedly wrote to the RTOC Synod, asking them to REMOVE the word “impossible”: It is impermissible to say that ‘Outside the Church salvation is impossible’, but my pleas have been ignored. “The Holy Gospel gives us a definite answer to this question concerning salvation. To the disciples’ question: “Who then can be saved? And Jesus looking upon them saith, With men it is impossible, but not with God: for with God all things are possible.” (Mark 10:26-27). Repeatedly I wrote to one RTOC bishop, that the final judgment over each person and his salvation is God’s matter. If you consider that you know for sure for whom salvation is possible and for whom it is impossible, then you contradict Christ Himself, saying: “not all things” all things are possible for God. Now it is a well-known patristic dictum, going back at least to St. Cyprian of Carthage, that “there is no salvation outside the Church” (extra ecclesia nulla salus). Bishop Stefan must know this very well-known saying, so his attack on it is surprising and alarming, to say the least. Is he just trying to “score points” over his opponents, or is he being serious in inferring that it is possible to be saved outside the One, Holy, Catholic and Apostolic Church? Here he is on the verge of heresy! The Lord said, with great emphasis: “Verily, verily, I say unto you, unless one is born of water and the Spirit, he cannot enter the Kingdom of God” (John 3.5). And again: “Verily, verily, I say unto you, Unless you eat the Flesh of the Son of Man and drink His Blood, you have no life in you” (John 6.53). Since the Church is defined as being the Body of Christ, in which alone it is possible to receive the sacraments of Christ, this certainly implies that the sacraments, and therefore eternal life and entrance into the Kingdom of God, are possible only for members of the Church. The will of God revealed to us in the Divine Revelation of the Sacred Scriptures and Sacred Tradition, consists precisely in the salvation of man through the Incarnation, Cross and Resurrection, and not in any other way. It was precisely for the sake of the salvation of man, and not for any other reason, that on the day of Pentecost Christ sent the Holy Spirit from the Father on those who were of one body and blood with Him for the creation of the Church – His mystical Body. The gifts of Grace necessary for salvation are bestowed only in her holy sacraments. Outside the Church there is no Body of Christ, no Grace-filled sacraments, and consequently no salvation. The Church, as the Body of Christ, has clear and visible boundaries which are delineated by canonical norms. Christ does not save without the Church!